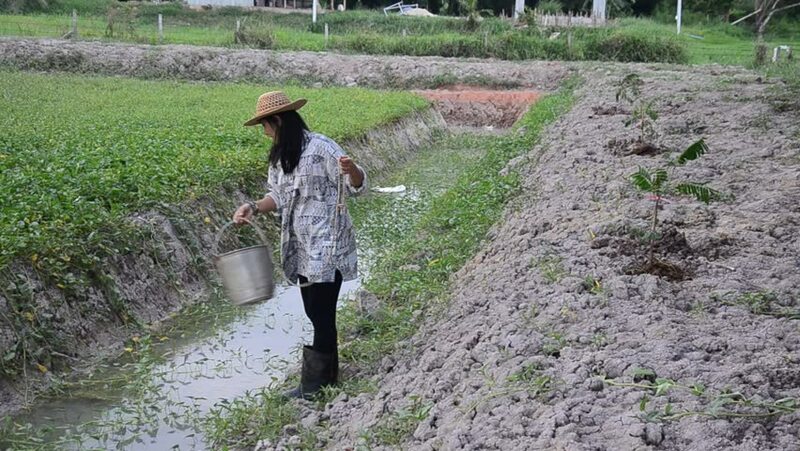 Thai woman use bucket of water watering tree at garden after planting tree and growing vegetable in dusk time at Phatthalung, Thailand. hd00:13Thai woman use bucket of water watering tree at garden after planting tree and growing vegetable in dusk time at Phatthalung, Thailand. 4k00:21A man runs in the countryside at sunset. Profile view, young caucasian male, white t-shirt, summer season. 4K UHD Log native file, aerial shot. hd00:19The dog sitting in the grass and looks at the camera. Dog smiling. 4k00:14Beautiful brunette girl run on a yellow wheat field. The concept of freedom. Happy woman outdoors. hd00:08Thai women eating rice topped malaysian curry style at beside Georgetown street of Penang in Malaysia, Thailand. hd00:08Traveller thai woman sit on service long tail boat for looking and travel view riverbank and Mangroves forest or Intertidal forest on river of Pak Nam Prasae town in Rayong, Thailand. hd00:23Thai woman planting tree and growing vegetable drop in hole at garden in dusk time in Phatthalung, Thailand.